This large exhibit features 3 cougars. These large cats are otherwise called mountain lion, puma, catamount, panther or painter. 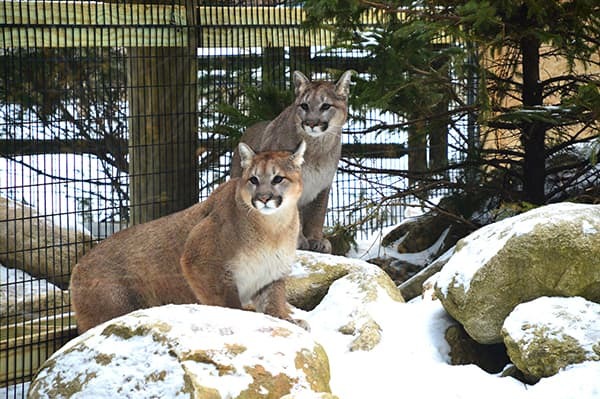 There are no known cougar populations in Maine at this time, however they were here as a native animal up until the late 1800s.